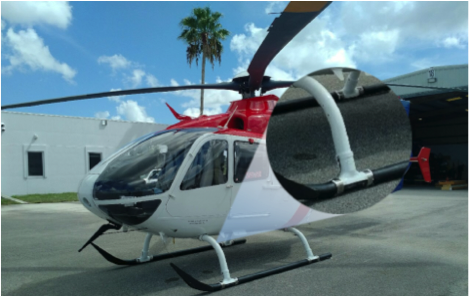 Dart Aerospace is expanding its landing gear product portfolio, securing approvals in recent months from Transport Canada, the FAA, and EASA for its Airbus EC/H135 replacement crosstubes. The crosstubes are corrosion resistant, made from improved high-strength aluminum alloy and protected by a high-performance primer and paint for offshore operations, Dart said. The company is offering its Standard Low size, as well as Mid-Height that is suited for helicopters requiring extra ground clearance, such as for utility operations. They are designed to be compatible with Dart’s Round-I-Beam skidtubes and OEM-related parts such as saddles, skidtubes, access steps, and ground-handling wheels. The Mid-Height model further is compatible with Dart and OEM floats, Dart said.